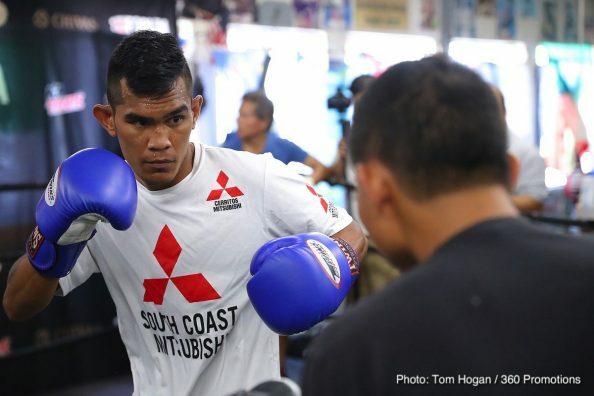 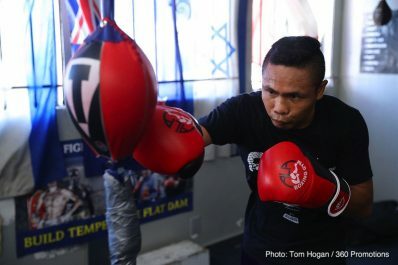 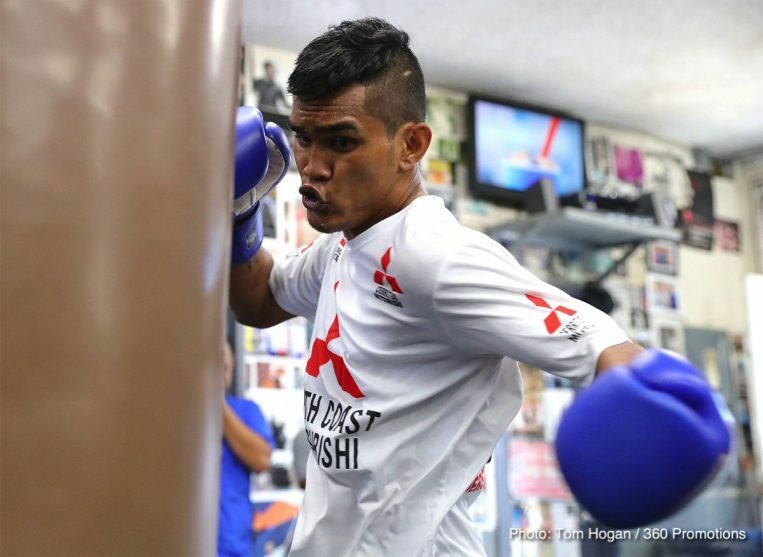 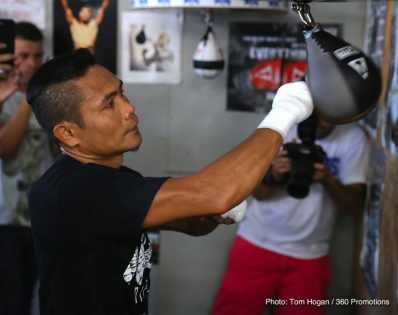 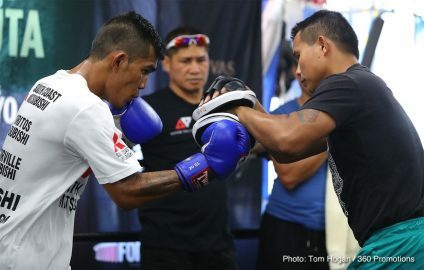 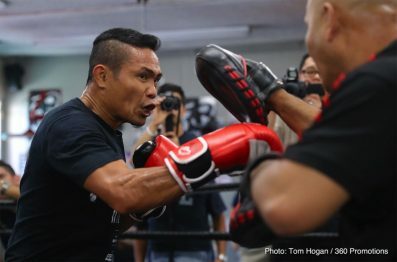 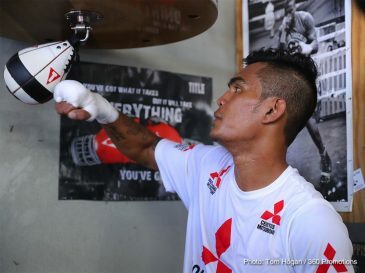 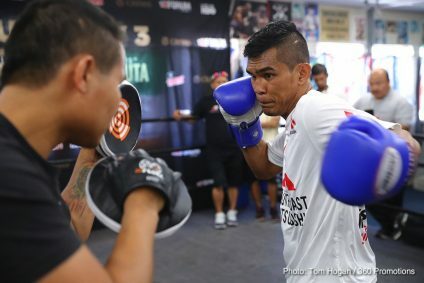 Three-division world champion and #1 world ranked Donnie ‘The Snake’ Nietes, (41-1-4, 23 KO’s) and #2 world ranked ‘Mighty’ Aston Palicte, (24-2-0, 20 KO’s) worked out for the Los Angeles area media on Wednesday afternoon at the Wild Card Boxing Club ahead of their Filipino rivalry showdown for the vacant WBO Super Flyweight World Title on Saturday, September 8 at the “Fabulous” Forum and televised on HBO Boxing After Dark beginning at 9:45 p.m. ET/PT. 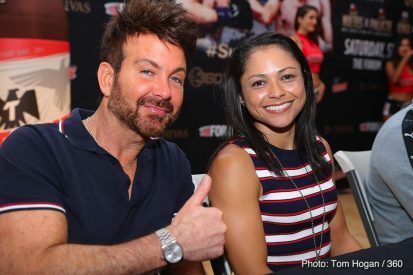 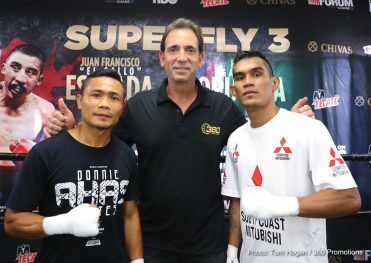 They were joined at the media workout by Tom Loeffler, President of 360 Promotions. 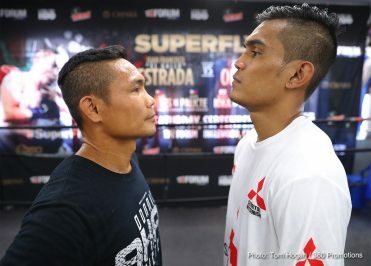 “The fighters in the lower weight class divisions relish the opportunity to be on HBO and that’s why they are willing to fight world class opposition in tough matchups. 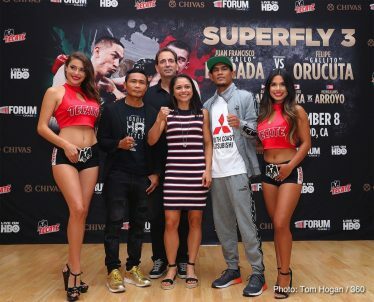 That’s what makes the SUPERFLY series so great for the fans and why each event has been so successful. 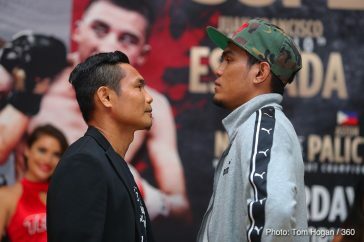 We’re expecting a huge crowd next Saturday night at the Forum to see this exciting HBO televised triple header along with a tremendous undercard. 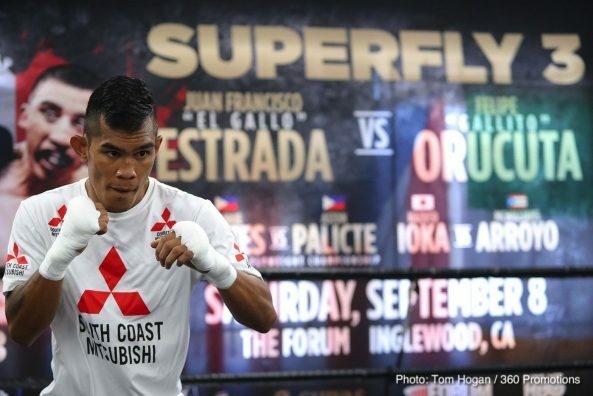 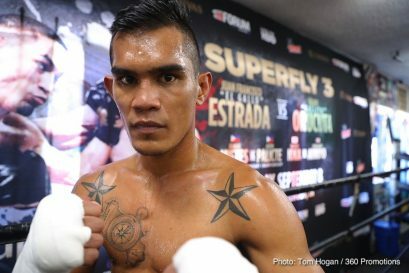 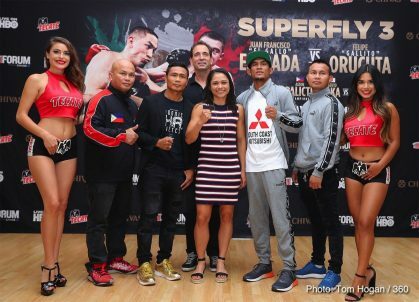 Saturday in Los Angeles, 360 Promotions kicked off a full schedule of events for fans and media leading up to the highly anticipated SUPERFLY3 world championship, international boxing card by hosting a ‘Meet and Greet’ at the Filipino Community Center in Los Angeles. 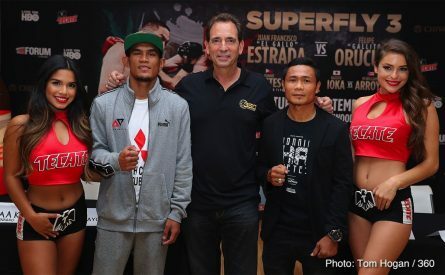 Among those on-hand to meet the large crowd of fans and media were three-division world champion and #1 world ranked Donnie ‘The Snake’ Nietes, #2 world ranked contender ‘Mighty’ Aston Palicte, women’s world title challenger ‘Bang Bang Lulu’ Louisa Hawton along with 360 Promotions’ President Tom Loeffler and Event Host Cynthia Conte. 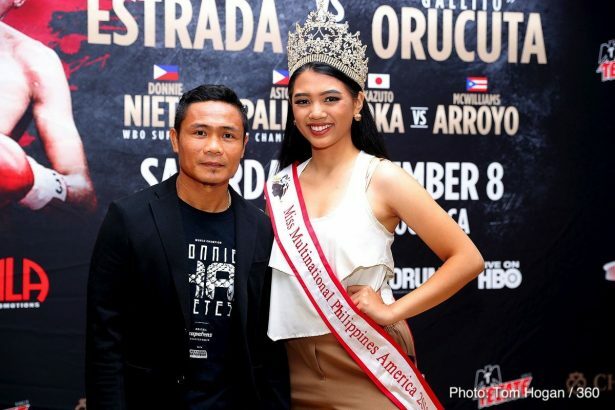 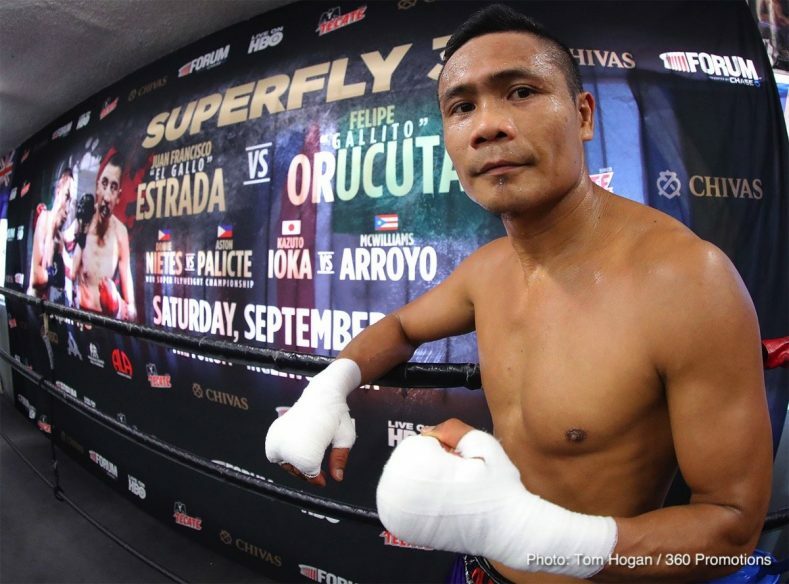 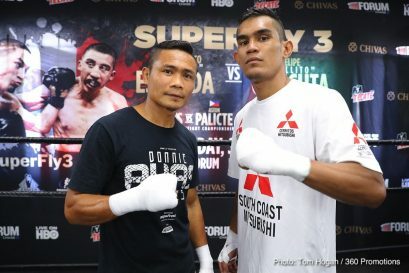 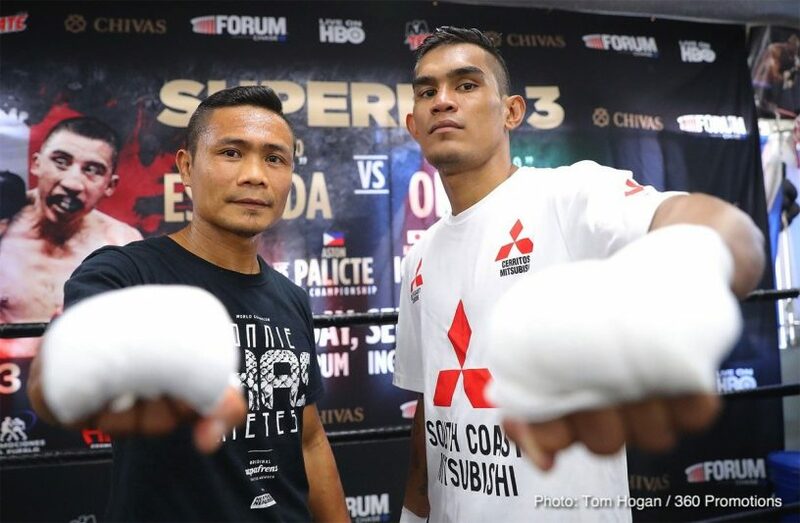 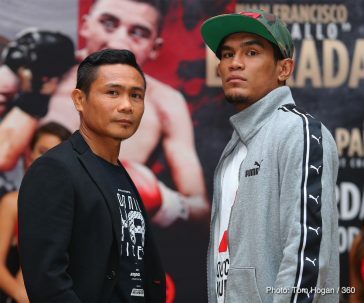 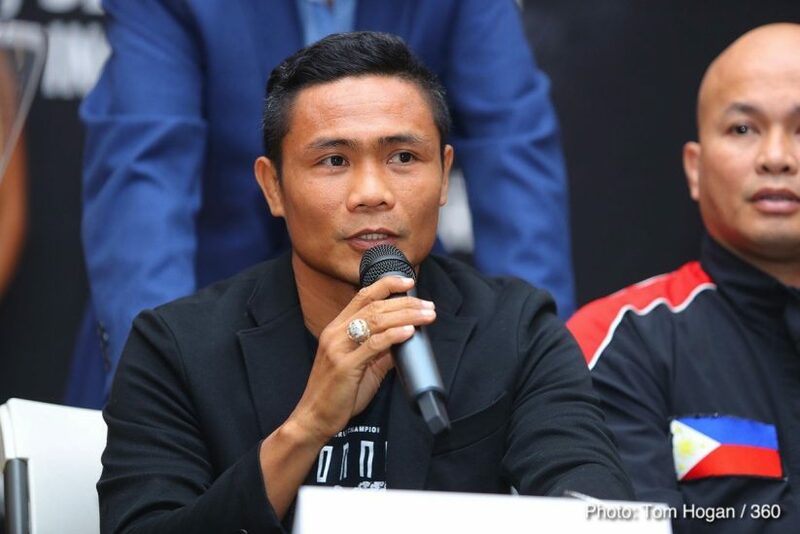 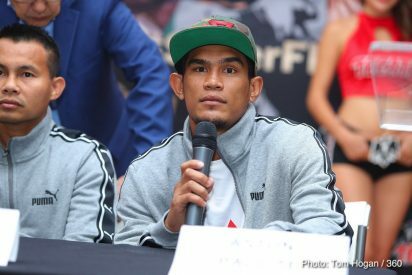 Ranked #1 and #2 respectively by the World Boxing Organization, Filipino rivals Nietes and Palicte will battle for the vacant WBO Super Flyweight World Title on Saturday, September 8 at the “Fabulous” Forum and televised on HBO Boxing After Dark beginning at 9:45 p.m. ET/PT. 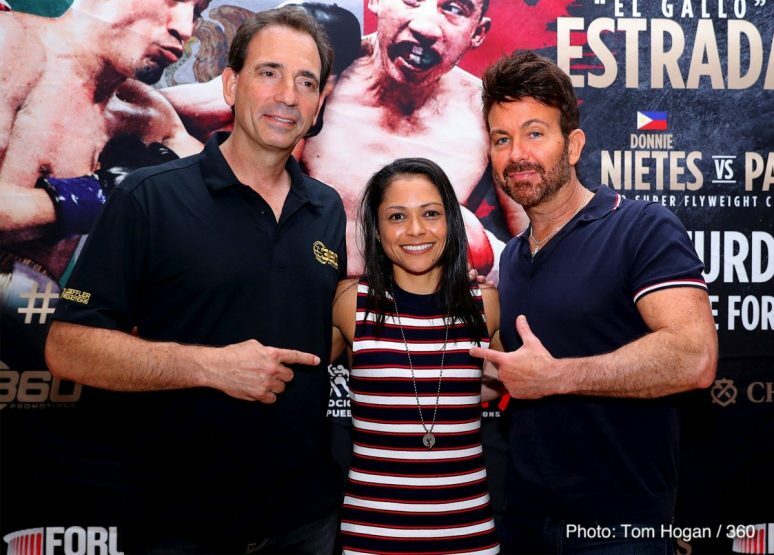 Featured on the outstanding live-streamed undercard, Hawton, (8-1-0, 4 KO’s) of Perth, Australia will face Brenda Flores, (12-4-1, 2KO’s) of Tijuana, Mexico for the World Boxing Council Women’s Atomweight World Title.